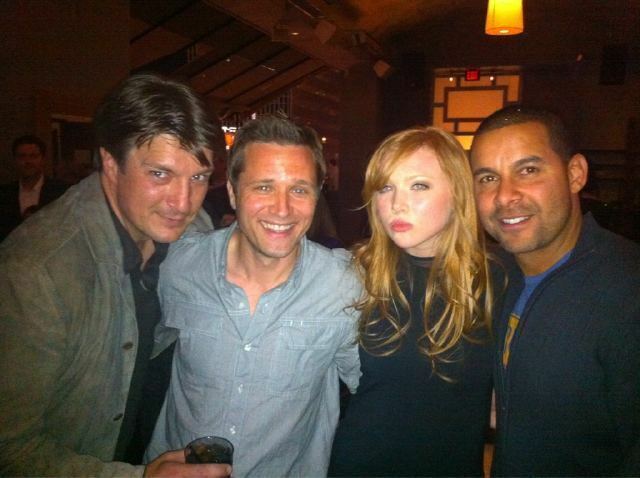 城堡 包, 换行 Party: April 30 2011. . Wallpaper and background images in the 城堡 club tagged: castle season 3 twitter cast wrap party 2011 molly quinn seamus dever nathan fillion jon huertas. This 城堡 photo might contain 精心打扮的人, 西装, 裤套装, 裤装, 穿着好衣服的人, 裤子套装, 穿得好的人, 套装, 休闲服, 休闲装, and 工作服.